Through his 30 plus years of clinical experiences, Dr. Maka’ala Yates, D.C. have found that cleansing the body on a regular basis is the basic foundation to being well. With enough information and by taking action, the average person can have a strong, healthy, functioning, youthful body and mind. The first step to feeling better is to cleanse the digestive tract (small and large intestines) and eliminate parasites from the body. Without this the body will be challenged in many ways including absorption and assimilation issues. More importantly they will have an over accumulation of toxins that deteriorate the body’s defense system and cause the body to function poorly. The primary vision of Indigenous Botanicals™ is to help “bring the healer back into the family” by instilling independence through education. A wisdom centered knowledge that is based on ancient healing techniques that have worked for more than a 1000 years for the ancient Hawaiian people. Our Hawaiian ancestors gave us tools to make it through the evolutionary changes they anticipated for generations to come---not only for the Hawaiian people, but also for all the people of the planet. The time has come for all of us to break the blueprint to disease and turn towards our own independence for healing, for remembering, and for our future. We want to help people regain their independence from health related problems, to break blueprints of lifestyle patterns that do not serve them anymore, and to re-establish self reliance by eliminating dependency from modern health care systems that do not work anymore. Despite the enormous sums of money spent on health care each year, the U.S. is one of the sickest nations in the world today. The reason can be attributed to the fact that now more than ever we are constantly exposed to chemicals, pesticides, food additives, heavy metals, GMO foods, and more importantly the decrease in the nutritional value of our diet. These elements can manifest themselves in many kinds of symptoms and ailments including fatigue, weak immune system, hormonal dysfunction, infertility, skin problems, psychological disorders and cancer. The most powerful tool available to us in order to prevent, alleviate, and reverse many of these acute and chronic conditions is a solid internal cleansing or detoxification therapy program. Once the body is allowed to catch up, then a specific dietary life-style change when indicated should be followed. 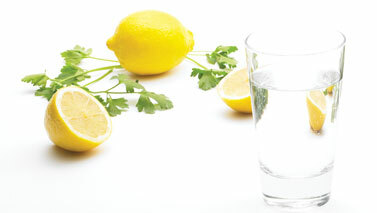 The body uses the colon, skin, lungs, kidneys and other organs to eliminate toxins as quickly as possible. But if these systems are clogged, sluggish or overburdened, the toxins back up into the body and can cause headaches, loss of energy, fatigue and aches and pains. Years of improper elimination can lead to the most severe health problems. Internal cleansing is a preventive means to assist the body in keeping its channels of elimination open and cleansed so they can perform their vital functions. The practice of cleansing has existed for thousands of years and has played a central role in the lives of millions of people throughout the world. Cleansing the body of built up toxins can promote health and prevent degenerative disease. *If you have severe symptoms or a serious disorder, please seek the attention of a health care professional.